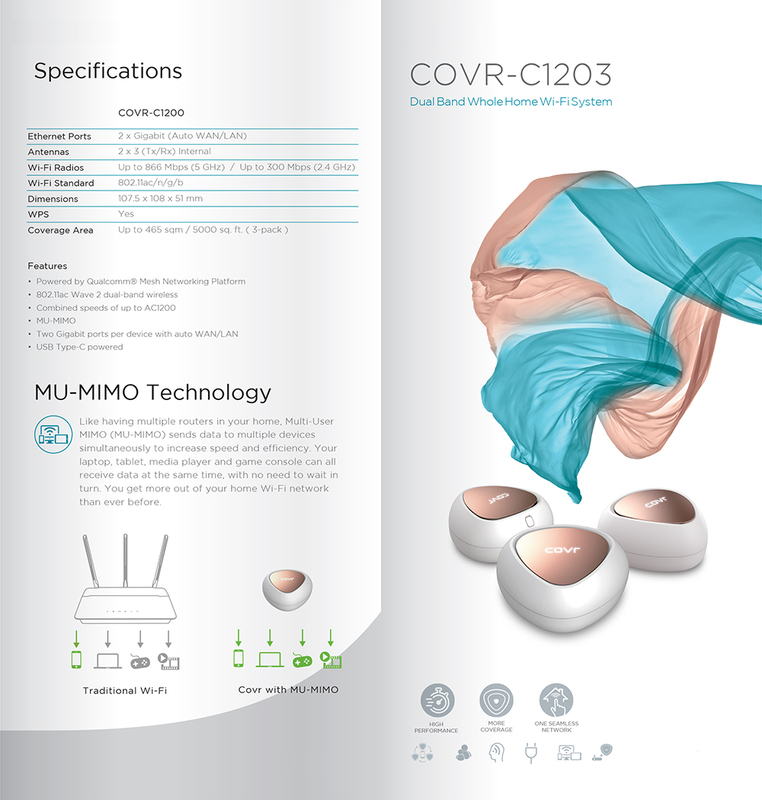 Introducing Covr, the seamless Wi-Fi solution that's the perfect fit for your modern home. It blankets every square inch of your home with high speed AC1200 Dual-Band Wi-Fi. With Covr, you enjoy Wi-Fi that's stable, consistent, and truly seamless.